Getting a spammed call, text or email, coming into your phone, is all it takes to ruin your day sometimes. Coming from scammers, politicians, telemarketers and so on, these spams can be really irritating. Focusing on the call spams which is the most unacceptable, especially when your phone wouldn’t just shut up. 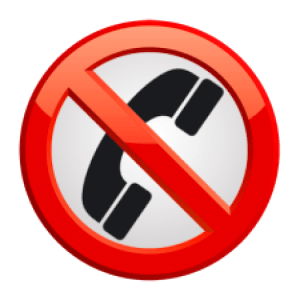 Your best option is to start blocking, which is made available in a lot of apps that let you tune in your call screening process just the way you want it. Meanwhile you already have it embedded in your phone, be it an android device or an iPhone. To block a recent number on an Android phone; open your default call history list. Click on the annoying incoming number in the list, a small menu will appear beneath it, click “Call details.” Where you’ll see an option item for Block Number. To block a phone contact, tap on the three-dot menu button inside the search field at the top of the phone screen. (Certain phones like Samsung Galaxy devices, will have a “More” option instead of the three-dot button). Click on Settings, then Call Blocking. You can search through your contacts to find a number to block. It also shows you all of your previously blocked numbers, you can unblock any number simply by tapping the “X” next to it. With your caller ID enabled, your Android phone should be able to warn you of a suspected spammer call coming in, then give you the ability to block the number. This is a brand new feature. However, when you block someone on your android device, it doesn’t send them to voicemail when they call. It just simply blocks them. But you have the option of choosing to send all calls from a particular contact to voicemail. You do this in Contacts by tapping that three-dot menu button (“More” on some phones) on the contact’s page and choose “All Calls to Voicemail. This feature makes it possible for you to flag not just an individual phone number, but the phone contact. So a call from any phone that person owns will get sent to voicemail. To shuffle between your blocked contacts, go to Settings, choose the ‘Phone’ tab. Then select Blocked List, where you find all the numbers you have previously blocked. You can choose to add new numbers to block or remove already blocked numbers. Clicking on Add New, your contacts will appear, then select a contact to move to your blocked list. While unblocking a number will move it back to your Contact list. Note that when you block someone on an iOS device, the calls still technically go through. You’re just never notified.